Songs of the Spanish Civil War with John Nyhan, Mick Treacy and friends. This event takes place at the Maldron Hotel on Friday night 4th August at 9.30 pm. All are welcome. Singers and songwriters are welcome to come along and take part but please contact John Nyhan beforehand. Many people are aware of Christy Moore’s inspiring song and the words of Viva La Quinta Brigada, which he credited to the book, Connolly Column written by Michael O’Riordan, and read while Christy was on holiday in Spain. The words concentrate on the Irish members of the International Brigades who lost their lives during the war, however there is a huge rich vein of songs and poetry associated with the Spanish Civil War. Mick Treacy and John Nyhan hope to explore this rich vein of songs, stories and poetry during the forthcoming Spirit of Mother Jones festival. In 1967 he came to Dublin and sang in most of the venues of the day such as the Embankment, the Castle Inn, the Old Sheiling and many of the local Folk Clubs before returning to his native Mitchelstown where he settled down, got married and raised a family. He has always had an interest in the songs of the working people collecting many down through the years. He feels privileged to have shared the platform and stage with many pacifist and socialist poets, writers, singers and performers who shared his dreams. John was born in Cork City and now lives in Lombardstown, North Cork, where he plays an active role in the local community. 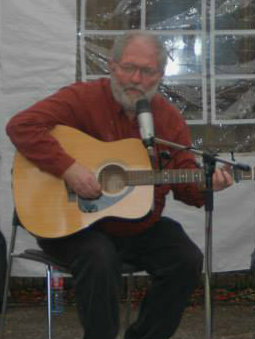 He was heavily influenced by the Folk revival and has been playing and promoting music for over 40 years. During the 70s he was a founding member of The Shandon Folk Club in Eason’s Hill, within an earshot of the Shandon Bells. Today he continues his voluntary involvement as a promoter of concerts and festivals. He is especially well known for the Bluegrass and Folk concerts he runs at The Village Arts Centre, Kilworth Co Cork. John is an avid collector of folk, bluegrass and songs of the people and has an encyclopaedic recall of singers and songs. 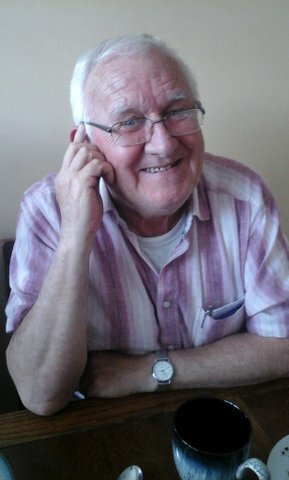 In the 1970s he worked as a peace campaigner in the North of Ireland as a member of Voluntary Service International. He was also a worker with the Simon Community. A regular contributor to the annual Mother Jones festival, John organised the legendary session “The songs of Joe Hill” in 2015 and in 2016 performed his vast repertoire of mining songs along with Mick Treacy.